Taking up half of South America’s land mass, Brazil is THE most biodiverse country in the world. It is home to the world’s largest rainforest – the Amazon and the world’s largest wetland – the Pantanal. Together with the Atlantic rainforest and cerrado grasslands, these ecosystems contain an astonishing abundance and diversity of wildlife. Wildlife watching in Brazil is some of the finest I have experienced anywhere in the world. 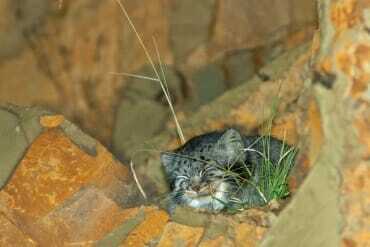 A lot of my wildlife travel is driven by my wild cat quest. 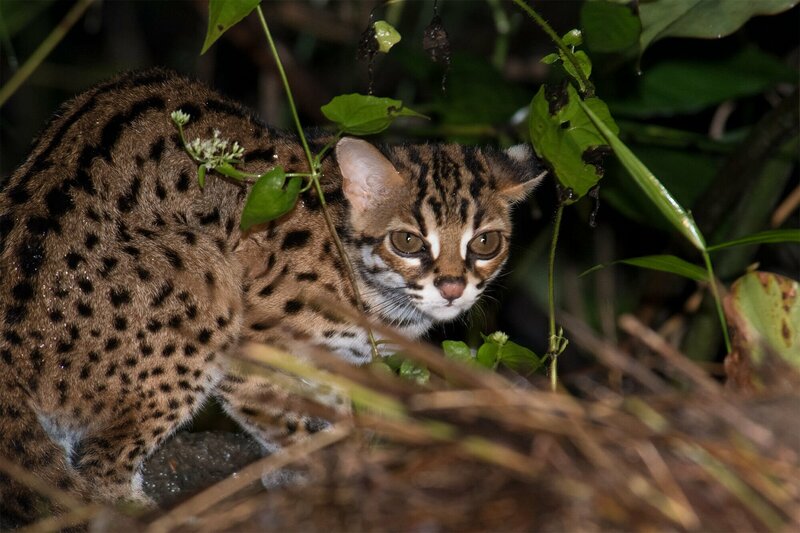 I am on a mission to see all wild cat species (there are 40 of them) in the wild. 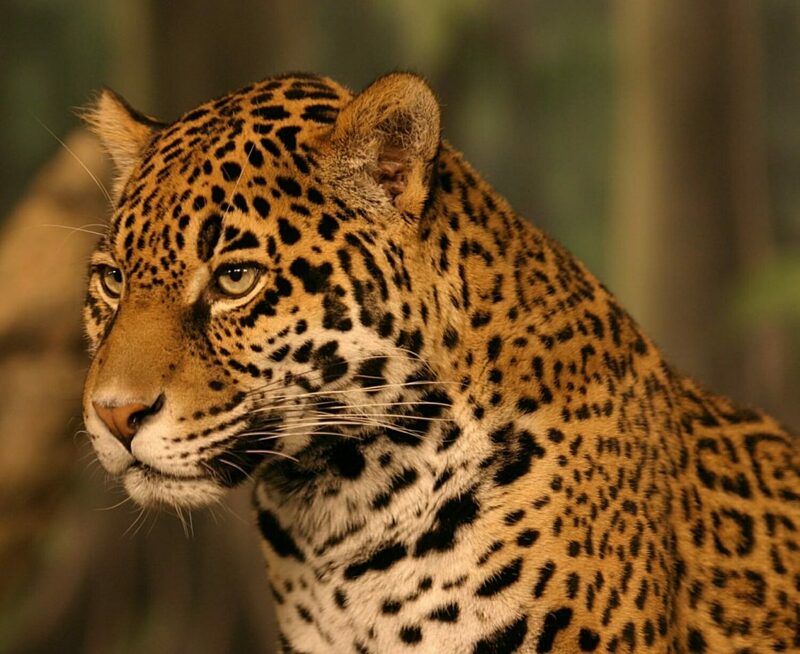 And Brazil’s strongest drawcard was the high chance of spotting jaguars and ocelots in the Pantanal. Together with my two friends from Canada, I researched the best places to visit in Brazil to explore the country’s incredible natural heritage and see as much wildlife as we could. 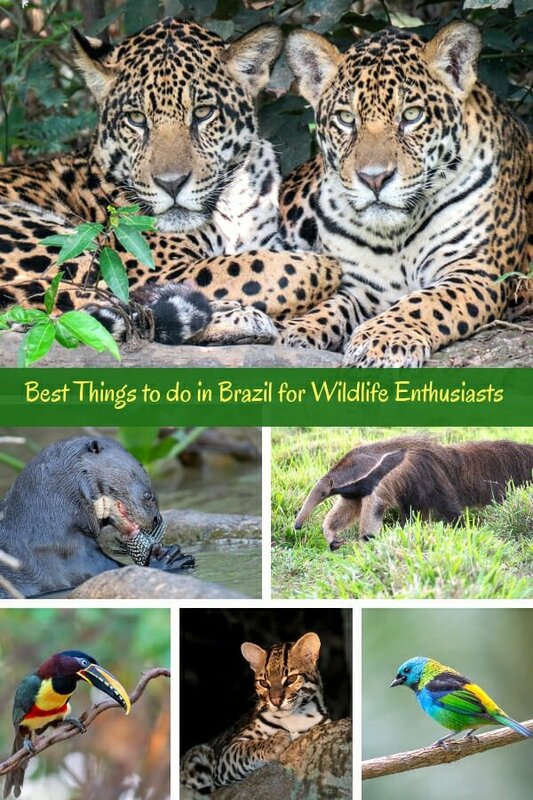 So if you enjoy nature and seeing wildlife in its natural habitat, check out this itinerary for the best things to do in Brazil. 1.1 Is Brazil safe to travel? 1.4 Is it expensive to travel in Brazil? 1.5 What is the weather like in Brazil? 1.6 What is food like in Brazil? Since our aim was to explore Brazil’s natural heritage, we managed to avoid most of the big cities. During four weeks of extensive travel across the country, we never had any safety concerns, apart from the danger of dying of boredom during some of the airport check-in procedures. We also happened to visit during the last weeks of Brazil’s presidential election campaigns and while the tempers were flying high in the political arena, everyday Brazilians remained warm, welcoming and fun-loving. We rented cars for parts of our journey and found it to be safe and mostly easy to drive in Brazil. We chose Alamo and had a very good experience with them. Uber is the best way of travelling for short distances in Brazil. It is very affordable (see the cost breakdown in the itinerary below) and most tourist places in the country offer free Wi-Fi. Is it expensive to travel in Brazil? While not as cheap as, say Bolivia, Brazil is generally not overly expensive for travelling. Food and accommodation are reasonably priced. Lunch costs on average $5-8 USD and dinner is about $10 USD. Tip: Book your accommodation as far in advance as you can. Brazil’s domestic tourism is burgeoning and accommodation gets booked out fast. Expect the walk-in rates to be up to 3 times higher than the rate on the hotel booking websites, like Booking.com, if booked in advance. We took triple occupancy rooms everywhere and opted for all-inclusive options where we could. The entire four-week trip cost us $3526 USD per person plus international flights. The price breakdown is included for each destination in the itinerary below. Brazil is an enormous country and its climate varies significantly between the north and the south of the country. However, in general, the annual average temperature is 22 to 26 °C (72 to 79 °F), apart from in the mountains and the cooler southern regions. The vast area of central and southern Brazil enjoys a tropical climate with a dry season (from May to August) and a rainy season (from October to March, with the peak between December and February). The rainy season is particularly pronounced in the Pantanal, which floods for up to six months each year. Just before the rainy season arrives in the Pantanal, the temperatures soar and can reach 40°C (104 °F) from August to October. The best time to visit the Pantanal is before the rain season, anytime from July to October. What is food like in Brazil? The most typical Brazilian meal is the all-you-can-eat buffet, known as “self-service”. The options typically include a few vegetable dishes (potatoes are particularly popular), one or two meat dishes and often a fish dish, as well as rice and black beans. This is what you are most likely to be served in the lodges and hotels. This worked great for us, there was always sufficient choice and most dishes were absolutely delicious. 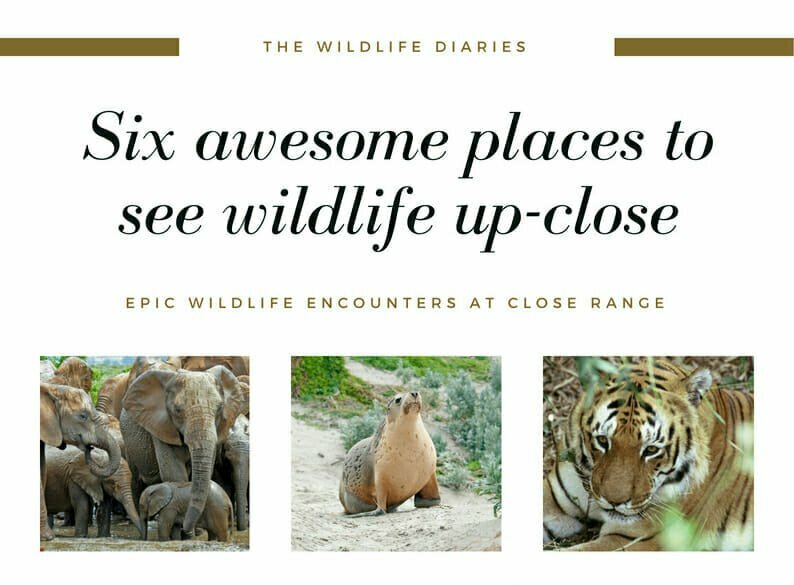 At a glance here are the destinations we chose, which all proved to be excellent choices in terms of the quality of the experience, variety and amount of wildlife we spotted. 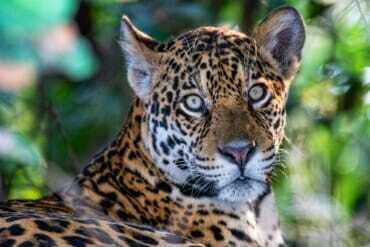 Lying on the bank of Cuiaba River in the Northern Pantanal, the small fishing community of Porto Jofre has become the jaguar watching capital of the world in the last decade. The water-loving big cats are easily observed from the boat at a surprisingly close range. The river is also the best place in the world to watch giant otters and many other species of wildlife. Fazenda San Francisco in the Southern Pantanal is probably the best place in the world to see wild ocelots. The cats are attracted by the high population of rodents in the rice paddies at the Fazenda and have grown accustomed to the safari vehicles, which allows for some very close encounters. 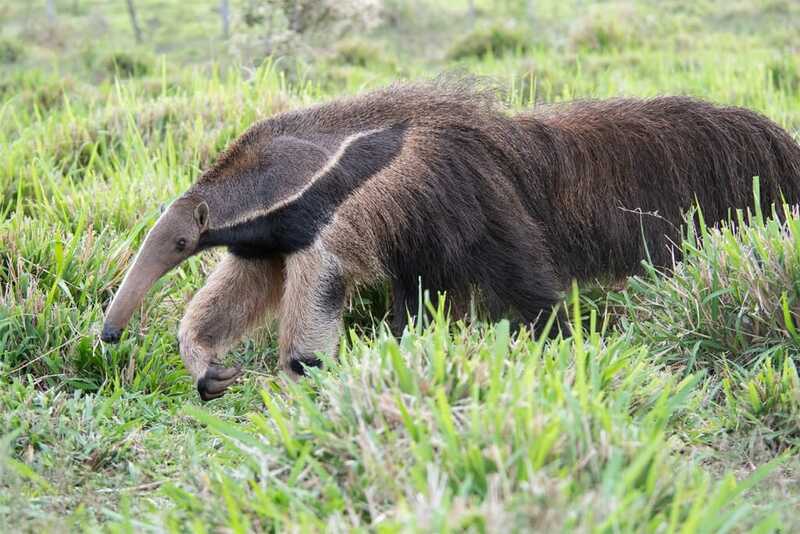 The Fazenda is also home to jaguars, giant anteaters, armadillos, and some spectacular birds. One of the most elusive animals in Brazil, the magnificent Maned wolf. Because of its shy personality, the wolf is very difficult to see in the wild. Unless it comes to you of its own accord, as it does at the former Catholic seminary at Santuário do Caraça. 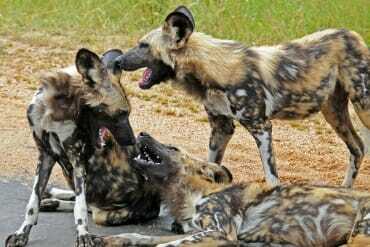 Thirty years ago, the monks at Caraça started leaving food scraps for the resident maned wolf (to stop it from raiding the seminary’s rubbish bins), and since then, many generations of maned wolves kept the relationship with the monks alive. 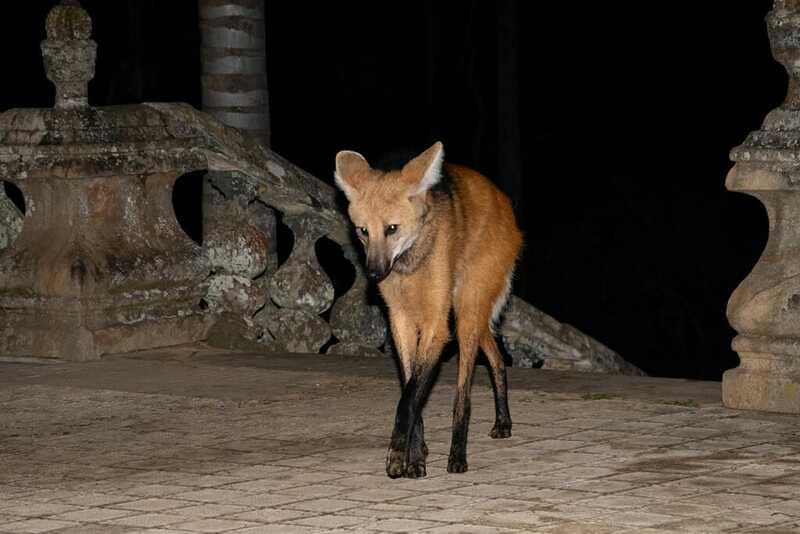 Today, you can stay at Caraça overnight and see a wild maned wolf as it drops in for its evening snack. 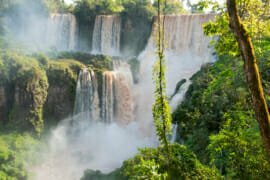 While not a wildlife watching destination per se, Iguazu Falls are one of the most dramatic natural attractions on earth. 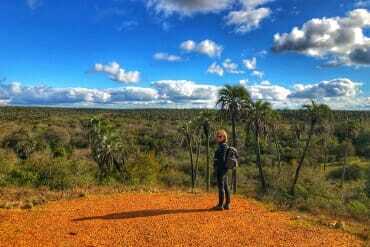 They are taller than Niagra, wider than Victoria Falls and more beautiful than both. And to truly appreciate them, you need to experience them from multiple angles: from the trails in both Brazil and Argentina, from the boat and even from the air if you feel like a splurge. Perched between the forest-covered mountains and the island-studded bay, the small colonial town of Paraty has the best of all worlds. You can take a cruise to Mamangua fjord, hike in the Atlantic rainforest and wander the cobbled streets of the historic town center. With so many different habitats, birdwatching in Paraty is superb. 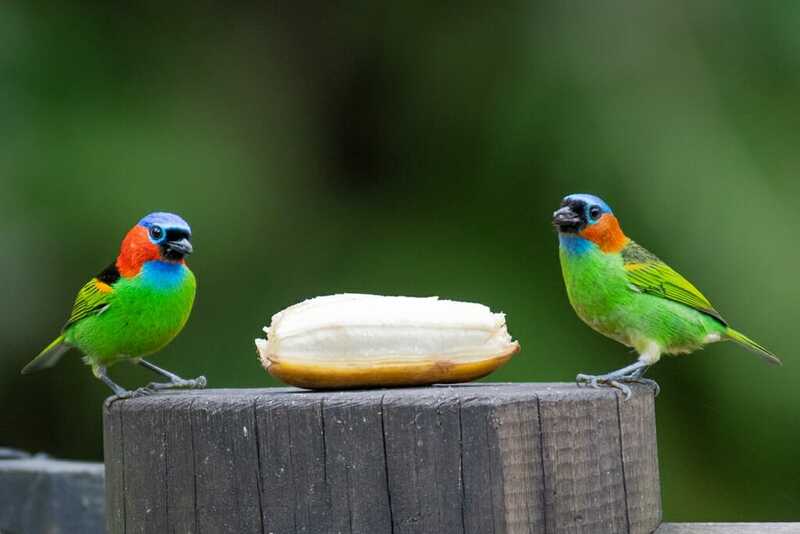 A five-hour birding tour with an expert guide will easily produce a hundred different species! At 8.516 million km sq, Brazil is one of the biggest countries in the world. But despite its size, Brazil’s cities are not well connected by direct flights. Travelling between different destinations usually involves flying via São Paulo or Rio. So even if your next destination is only a few hundred kilometres away, it will take at least one day to get there. And often, you will have to spend a night in transit. This is why it is important to figure out what are your ‘best places’ to visit in Brazi and to maximize your time at each destination. For this reason, we decided against Amazon and spend more time in the Pantanal. 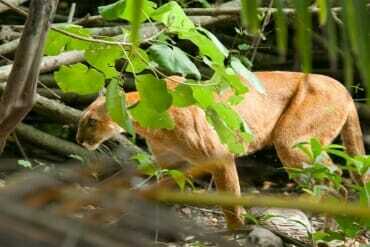 While Amazon has a high concentration of wildlife, the animals are very hard to see in the dense jungle. 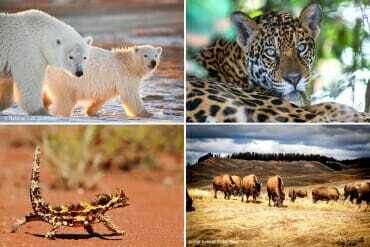 The Pantanal, on the other hand, is flat and mostly open and contains THE highest concentration of wildlife in the Americas. Here is our four-week itinerary to see the best of Brazil’s nature and wildlife. My friends and I arrived in São Paulo from Canada and Australia respectively, and the following morning we met in Guarulhos airport for our flight to Cuiaba. Julinho from Pantanal Trackers picked us up at Cuiaba airport and after a quick lunch in town, we headed to the Pantanal. We spent the first two days exploring the savannah along the Transpantaneira highway – the only road that traverses the Northern Pantanal. Overnight we stayed at Pouso Alegre – a lovely rustic property that is partly a cattle ranch and partly eco-lodge. The main reason we stayed at Pouso Alegre was to see the Brazilian tapir. On the third day, we drove to Porto Jofre and checked in at the Pantanal Norte Hotel – our base for the next four nights. After lunch, Julinho prepared his boat and within an hour of being on Cuiaba River, we were looking at our first jaguars. For the next three days, we saw jaguars several times a day every day. Not to mention a plethora of other incredible wildlife species. Check out this detailed post about our visit to the Northern Pantanal. After four days of amazing wildlife watching on the river, we headed back along the Transpantaneira and stayed overnight at the upmarket Piuval lodge. The lodges along the Transpantaneira give a good opportunity to spot species that are harder to see on the river, like the Giant anteater, armadillos and Brazilian tapir, as well as some fantastic birds. Before dropping us at the airport the following day, Julinho took us to the sky in a small 4-seater plane, for the bird’s eye view of the Pantanal. 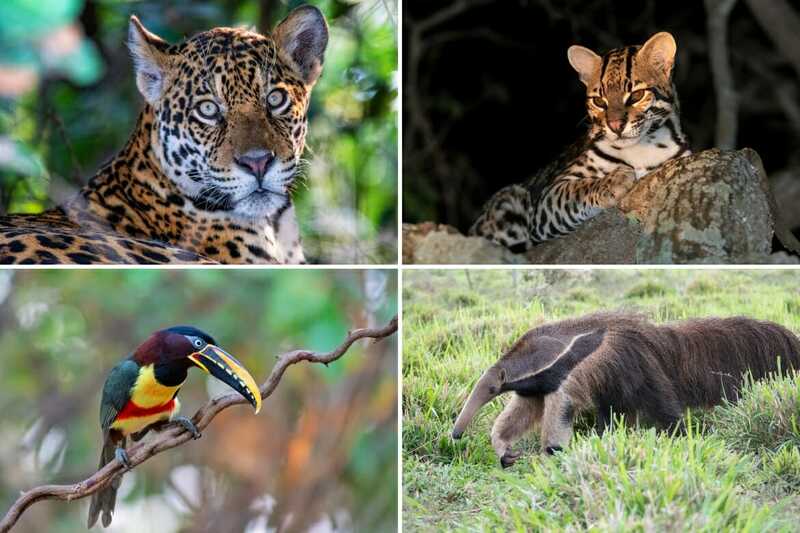 Book your Pantanal adventure with Pantanal Trackers. Julinho arranges fully customized itineraries based on your request. He is the pioneer of jaguar tourism in Porto Jofre and he has his own boat, so you can have the river to yourself while all the tourist boats return to the lodges for lunch. 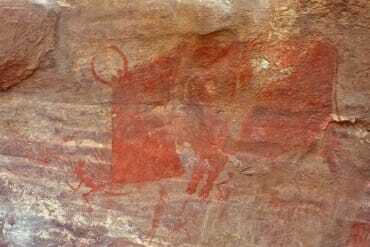 Even though Campo Grande (the gateway to the Southern Pantanal and the capital city of Mato Grosso do Sul) is only about 600 km south of Cuiaba, the only way to get there is by flying via São Paulo. Unless you fancy a 4 am direct flight. But keep an eye out for additional direct flights that might get scheduled last minute. Our flight arrived in Campo Grande around 10 pm and we spent the night at the nearby Aeroporto Plaza Hotel. The following morning, we rented a car at the airport (we went with Alamo) and drove for just over 3hrs to Fazenda San Francisco. 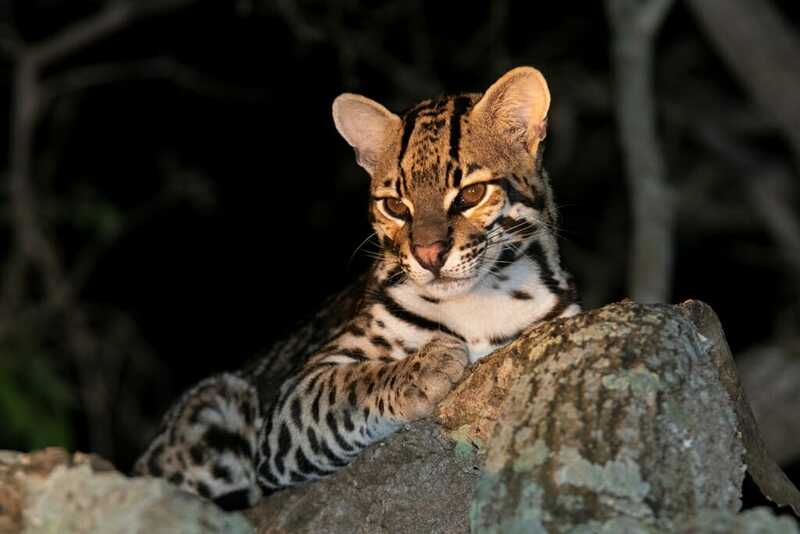 We stayed at the Fazenda for three nights to give ourselves the best chance of spotting an ocelot and in that time, we saw an incredible variety of wildlife. Apart from the spotlighting drives at night, we drove the 6-km long access road during the day and it produced some excellent sightings. Particularly the Giant anteaters – the fazenda has quite an impressive population of these shaggy giants. The lodge itself is a great spot to kick back and watch the birds come to the multiple feeders around the place. Check out this post for details about what we saw at Fazenda San Francisco. Another day of travel. From Campo Grande to São Paulo and then to Belo Horizonte. We stayed overnight at the dingy Hotel Ouro Verde, that was advertised as the closest inexpensive hotel to the airport. I would NOT recommend this place. In the morning we returned to the airport and rented a car with Alamo again. The drive to Caraça took almost 4 hrs, mainly because the first half of the road is single lane, very steep and busy with trucks. Once we turned off BR 381 the drive became a lot more pleasant. We stayed at Caraça for two nights and saw Maned wolves each night (two on the second night!). There is much more to Caraça than the wolves of course. Check out this post for details about visiting Santuário do Caraça. From Caraça we took a long way back and visited two historic colonial towns: Mariana and Ouro Preto. Both are adorable and if you are in the area, they are worth the detour. 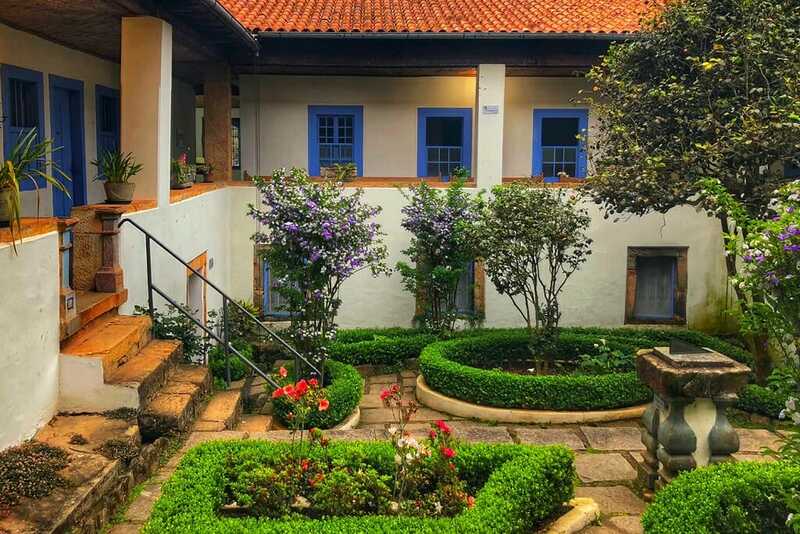 Plan to spend the night in Ouro Preto. Santuário do Caraca can only be booked directly via their website. We successfully used Google Translate to communicate with Caraca to make the booking. No visit to Brazil would be complete without experiencing Iguazu Falls. To do the Falls justice, we visited both: the Brazilian and the Argentinian sides of the Falls. After a day of travelling from Ouro Preto to Foz do Iguacu, via Belo Horizonte and Sao Paulo, we arrived at Foz in the late afternoon and spent the remainder of the day relaxing at the hotel. The following day we arranged an Uber to Parque Nacional do Iguaçu and spent the day exploring the falls on the Brazilian side. It is worth it getting to the park early and catching the first bus to the falls – for about 20 minutes, we had the Devil’s Throat to ourselves. Check out this post for details about visiting the falls, and more tips for getting the most out of the experience. The other relatively quiet period is the late afternoon. Again we found ourselves completely alone at the lookout across from Belmond Hotel das Cataratas before we caught the last bus back. The park entrance has free wi-fi service, so booking an Uber for the ride back is easy. The following morning we arranged a taxi for the return trip to Parque Nacional de Iguazu in Argentina via the immigration office and spent the day exploring the falls from the different viewpoint. In Argentina, there are a lot more trails and lookouts to see the falls, but the Devil’s Throat is more impressive on the Brazilian side. Another perk on the Argentinian side is the Macuco nature trail that meanders through the Atlantic rainforest and provides much-needed relief from the crowds of the Upper and Lower Circuits. No prior bookings are necessary, just purchase the entry ticket at the park offices. But you should pre-book the speed boat ride at Macuco Safari website to avoid the queue in the park. We took an early flight from Foz to Sao Paulo, where the private transfer driver from Green Toad Bus was waiting for us. While we expected a minivan for the transfer, we got a brand-new BMW sedan. The drive took just over 4 hours, but we had an unpleasant surprise waiting for us in Paraty. Pousada Kaete that we booked in advance and pre-paid for 2 nights, was a huge disappointment. Instead of a triple room, we were given a room with one double bed and one pull-out mattress on wheels. The owners were quite unpleasant to deal with and refused to refund us the second night of accommodation. In any case, we left and checked in at Pousada Corsario in town, that we booked on booking.com to avoid the high walk-in rate. From this point on, we had a fantastic time in Paraty. On our second full day in Paraty, we took a birding tour that turned up over 100 species in just five hours. There is also a population of White-eared marmosets in town that you’ll probably see on the tour. The following day, we decided to take a cruise to Mamangua fjord. There are plenty of large commercial schooners offering cruises to the fjord and to the islands in the bay, but we gave those a miss. 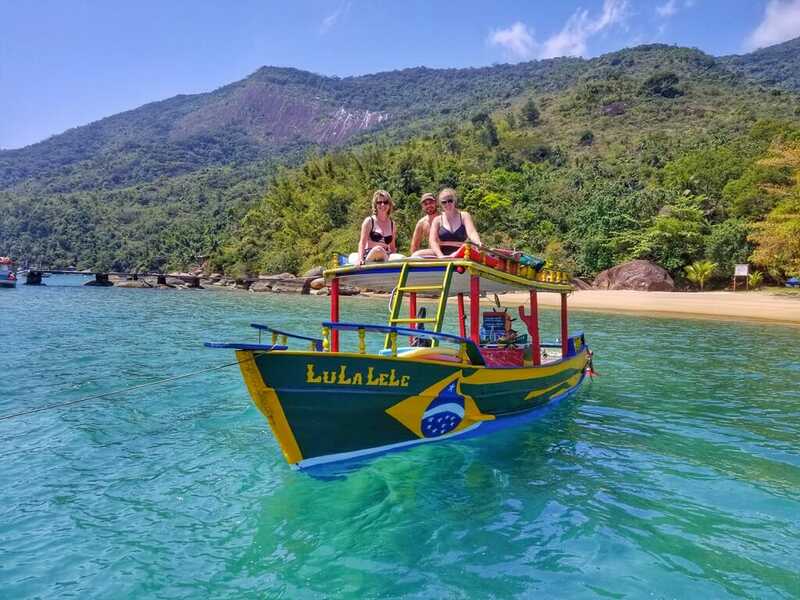 Instead, we walked to the pier where we met Junior – a local fisherman and booked his small and quintessentially Brazilian boat LuLa LeLe for the day. It turned out to be the best decision of our trip! 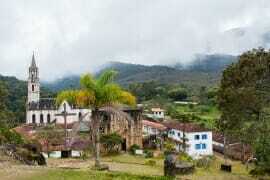 Read this post about the details of visiting Paraty. Mamangua fjord cruise – contact Junior on +55 24 992542443 or look him up at the pier. By the end of our trip, we have seen more wildlife than we could ever hope for. The Pantanal took us by surprise – it was perhaps the best wildlife watching destination either of us has visited. 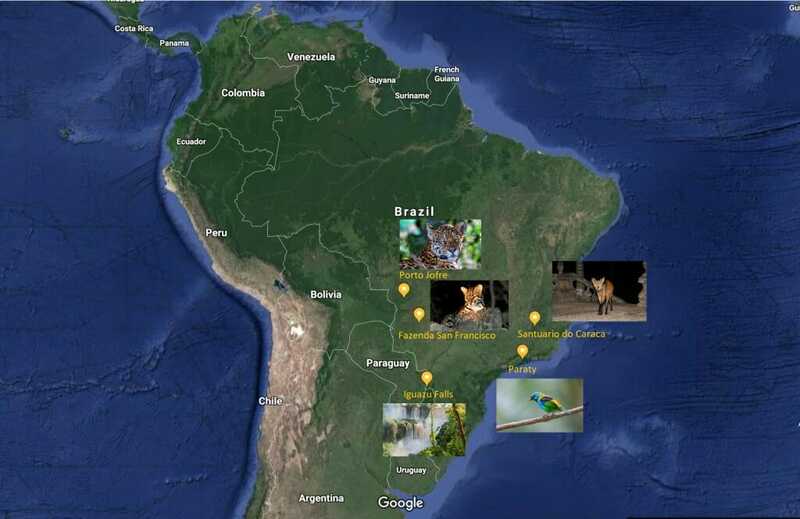 Have you visited any wildlife destinations in Brazil? Share your sightings and suggestions in the comments below. Wild animals in my life consist of loud and demanding lorikeets so this is a dream of discovery and exploration… Thank you for sharing a great post! I’ve been dying to go to Brazil for ages thanks to the plethora of wildlife there. I’ve always been a put off because I haven’t been able to find a tour that goes to the Pantanal as well as all the other places I want to go. I’m definitely going to check out the Pantanal Trackers company as it sounds perfect! I just learned about Ibera wetland on my recent trip to Argentina! I am very keen to visit it next time I’m in the country. It sounds like an incredible place for wildlife spotting. Thrilled to know that there are Maned wolves there! 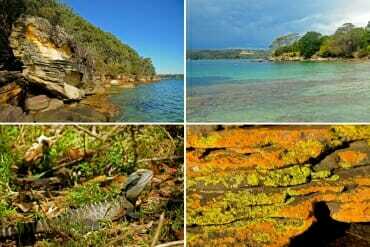 My bucket list is very selective and revolves around wildlife and nature. I think it has a new addition… I assume you’d need a DSLR for those pics? Oh, the Pantanal is a must for anyone keen on seeing wildlife! You could get away with a small camera as long as it has a decent zoom on it. The animals tend to be reasonably close on the river. I used a 400mm lens on a cropped sensor camera, which makes it about 600mm. 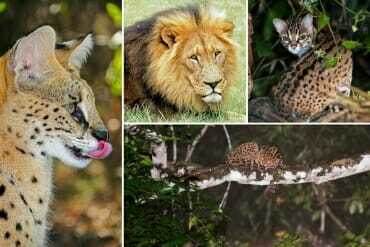 I absolutely love wild cats and keep going back to Africa for safaris. 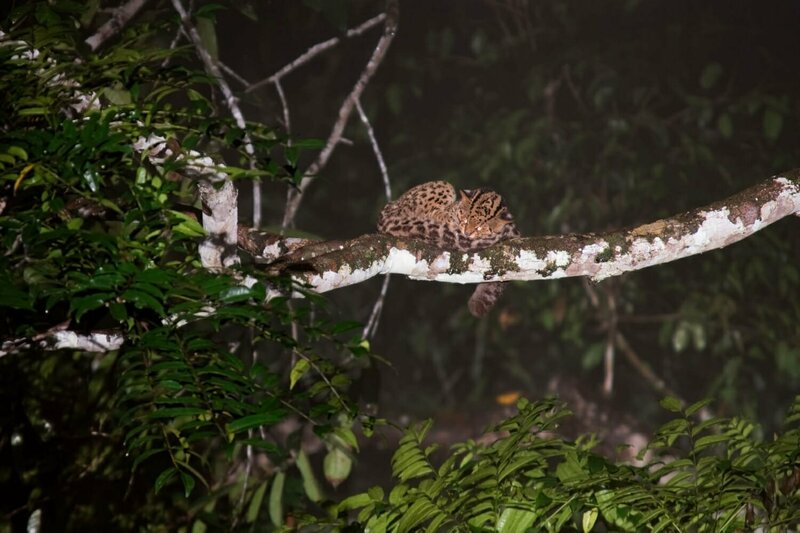 Your post has inspired me to add Brazil to my wildlife travels list – would be so pumped to see a jaguar and ocelot! I’m going to Brazil in a few weeks and I absolutely love wildlife!! 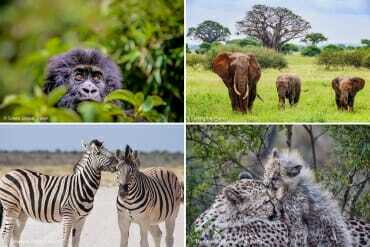 This post just made me so excited to there, looks like you can see a lot of amazing wildlife. Thank you so much for this amazing post! I’ve subscribed and I can’t wait to read every article of yours. I’m a huge wildlife lover. Thank you so much for sharing these tips. My husband and I go to Brazil in a few months. Your article is so helpful! I had a few questions – I wondered if it’s possible to drive near the Fazenda at night in your own vehicle, instead of a guided trip? I have the same question about driving the Transpantaneira at night. I wondered if there were laws against it since there is so much wildlife. We will have a rental car in both places. Thank you for advice! 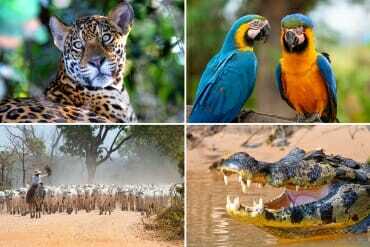 Hi Sarah, you are going to LOVE Brazil, especially the Pantanal. In terms of driving, you should be able to drive the Transpantaneira at night. It is a public highway after all. We took one night drive from Porto Jofre but didn’t see much wildlife. Most of the nocturnal wildlife we saw, was on spotlighting drives at the lodges. I doubt that the lodges will allow you to drive your own vehicle at night. We had a guide with us, so we never came across this issue. At Fazenda San Francisco, you definitely won’t be able to drive your own car at night. But you can drive the access road (about 6km) during the day. We saw a lot of wildlife on that road! At night you’ll be restricted to the drives organized by the fazenda. I would highly recommend splurging on the private night drives – the fazenda gets quite busy with local tourists. They are doing some amazing work to promote wildlife awareness and conservation in Brazil, but it comes at the cost of overcrowding. Have an amazing time in Brazil! Never been to Brazil. But thanks for such a nice post, inspired me to visit :) Iguazu waterfall is amazing. What a view it has! Just cannot wait to visit. Thanks for sharing. Thank you, Deepa. I am glad you found the post useful. I couldn’t recommend a trip to Brazil highly enough!